15 July 2011, Washington, DC — On Tuesday, 12 July, 2011, activists from the Cyprus Refugee Rights Movement report that approximately 35 police officers, migration agents, and CID agents poured into the Larnaca detention center and violently assaulted the Iranian asylum seekers. In the attack, the Cypriot authorities used tasers, batons and brass knuckles to brutally beat the Iranian refugees, including an elderly 72-year old Baha’i asylum-seeker, who is being held in solitary confinement after the beatings. A number of other Iranian refugees were injured, and there is a report of at least one broken leg. During the attack, the Cypriot authorities pulled out their handguns and put them in front of the refugees’ faces and threatened them one by one, while accusing the “Iranians” of causing the recent devastating explosion in Cyprus that has killed at least 12 people. The injured include Mohammad Khosh Sorour and Mostafee Taghilou, who reports a broken leg as a result of the beatings. All asylum-seekers who were attacked in Larnaca detention by the Cypriot authorities require urgent international assistance in being removed from this facility. If their detention is for no other reason than issues relating to migration status, they must be immediately released and transferred, with the urgent assistance of UNHCR, to a safe third country. We demand immediate investigation of prison and detention conditions in Cyprus by the International Red Cross. We express particularly urgent concern regarding the medical condition and care of 72-year-old , held in solitary after being beaten, and Mostafee Taghilou, whose leg is reported broken. 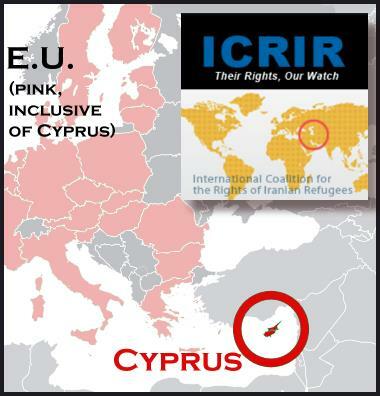 In addition to ensuring the immediate removal from the Larnaca detention center of all Iranian asylum-seekers, as their lives remain at risk; and ensuring their resettlement from Cyprus to a safe third country, as they clearly have basis for fearing political persecution by the Cypriot government; UNHCR must immediately and urgently review its practices in Cyprus and recognize that refugees are a population targeted by the Cypriot government and in need of special protocols. We demand that the Cypriot government be held accountable immediately at level of the European Union. We have no confidence in the juridical system of the government of Cyprus, which seems to engage in direct and structural violence against asylum-seekers as a matter of policy. A case against the government of Cyprus should be brought directly at the level of the EU Court of Human Rights. Leave Iranian refugees in peace! Grant them asylums! Shame on Cyprus. Are you guys supposed to be Europeans?